(Reuters) – Oman may sell oil to Sri Lanka in the event of a crisis, which the island nation is racing to avert with U.S. sanctions on Iranian crude threatening its primary refining supply, Sri Lankan officials told Reuters on Friday. Omani Oil Minister Mohammad bin Hamad al-Rumhy on Friday was holding a second and final day of talks with Sri Lankan Petroleum Industries Minister Susil Premajayantha, who is hunting for a new oil supply amid limited options. “The two ministers discussed in detail how Oman could assist Sri Lanka in the event of a crisis, if Sri Lanka is unable to import crude oil from Iran,” a ministry official with knowledge of the talks between Premajayantha and Al-Rumhy told Reuters on condition of anonymity. The U.S. and European sanctions will have an outsized effect on Sri Lanka, a tiny player in the world of buyers of Iranian oil but the one with the fewest alternatives. Nearly all its crude supply comes from Iran and its 50,000-barrel-per-day Sapugaskanda refinery was built to process only Iranian light sweet crude or the similar Arabian Light. The state-run Ceylon Petroleum Company (CPC) buys one cargo a year of Arabian Light crude from Saudi Aramco, the national oil company, and is already in discussions to increase that supply, oil officials said. Al-Rumhy arrived on Thursday and held brief talks with Premajayantha, before paying a courtesy call on President Mahinda Rajapaksa and meeting his younger brother, Economic Development Minister Basil Rajapaksa. Oman, a non-OPEC country, produces around 860,000 bpd and can supply a crude which can be blended to meet the narrow specifications of Sri Lanka’s Italian-built refinery, barely updated since the 1960s. Trying to choke off the money the United States believes Iran is using to fund its nuclear ambitions, U.S. President Barack Obama on December 31 signed a law that will ban from the U.S. financial system any financial institution that pays for Iranian crude after a six-month deadline passes. That puts Sri Lanka squarely in the targets, as its central bank pays its Iranian counterpart on behalf of the CPC through the Asian Clearing Union (ACU), a nine-nation trade clearinghouse set up in Tehran in 1974. Sri Lanka’s government is still assessing its financial options, but has not found a way around the ACU problem yet, a second senior official told Reuters on condition of anonymity. “We are actually talking to India about that, and to some extent we will be guided by them and their experience,” the official said. 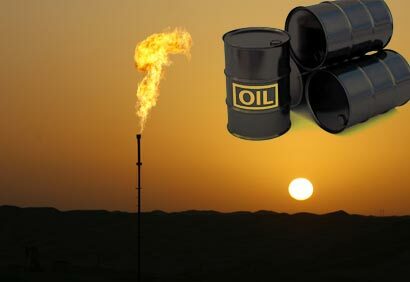 The United States last year persuaded India to stop using the ACU to settle Iranian oil payments, because following the Iranian money trail becomes difficult once central banks are involved. Sri Lanka is also considering seeking a waiver from the United States, its biggest export destination. But that could be a hard sell politically and economically as it would require it to reduce ties with Iran, its fourth-biggest buyer of exports.